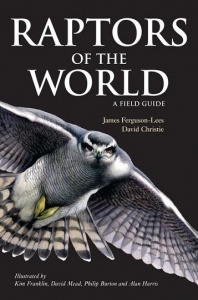 Raptors of the World (Helm, 2001) is the definitive handbook to this most popular group of birds. This new field guide uses all of the plates from Raptors of the World, with a concise, revised text on facing pages, to create a conveniently-sized, lightweight field reference covering all 340 raptor species. Several of the plates have been reworked and repainted for this guide. The book also has an updated colour distribution map for each species. Much of the extensive introductory material has been retained in this guide, with the addition of a complete species list containing all subspecies and brief details of their ranges. Armed with this guide, birders will be able to identify with confidence any raptor encountered anywhere in the world.